In 2005 Harold Herbold and Sharon Loner set out to look for a herd sire that would compliment and strengthen their breeding program with bloodlines new to the rocky mountain region. Their eyes were on super hero, Majestic Peruvian Daredevil. Daredevil achieved his first place ribbons and 2 Color Championships at consecutive shows during the 2005 show season. 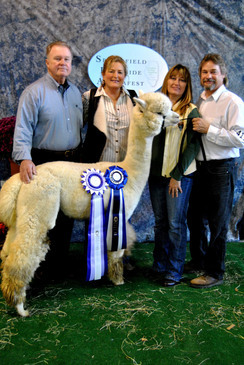 Genesee is simply a Magnificient Alpaca and proves it at every show she's been to. 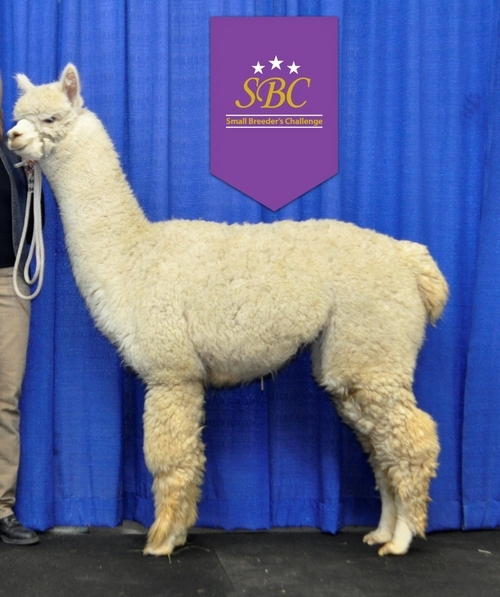 From conformation to fleece, she's exceeds the standard in the alpaca industry. A top production animal. 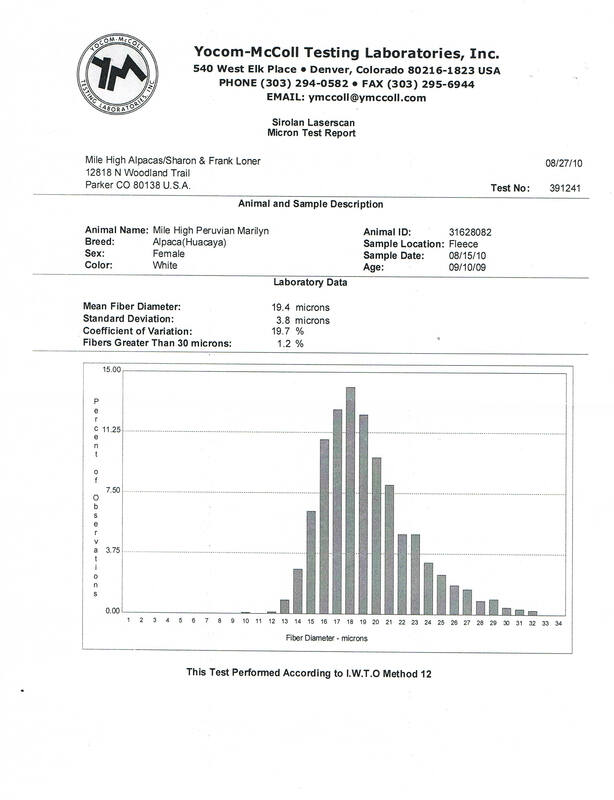 Genesee has produced year after year for us with show quality/champion offspring. She has earned lifetime security here and paid for herself over and over. 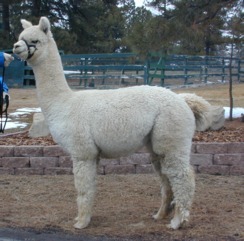 Genesee is an easy breeder and remains on an accurate breeding schedule. UPDATE: LIGHT SABRE HAS THROWN COLOR!!! WE HAVE A BEAUTIFUL DARK FAWN DAUGHTER FROM LIGHT SABRE OUT OF A BLACK DAM! WE ARE THRILLED! HE CONTINUES TO THROW COLOR WHEN BRED TO DARK FEMALES! WOW!! 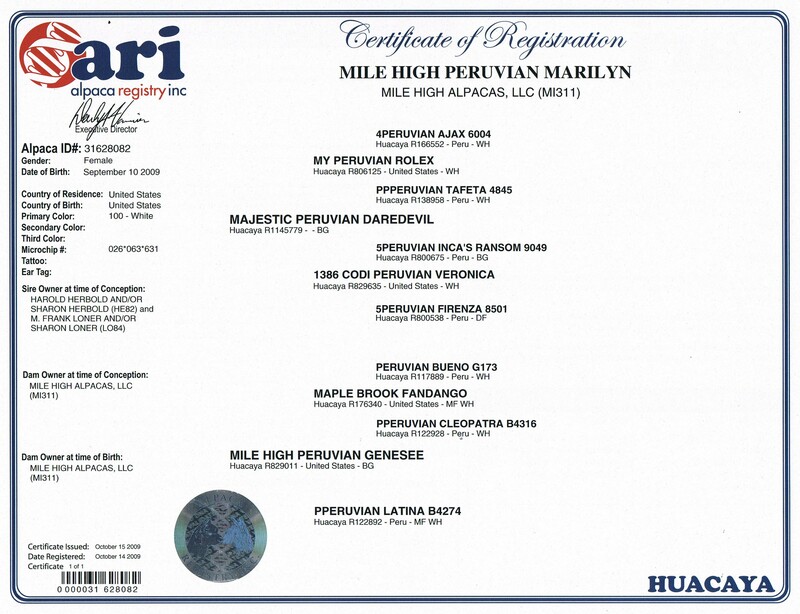 We purchased Mile High Peruvian Marilyn as we were looking for another elite white female to breed to Light Sabre. She has excellent density with full coverage on a very stylish body. She has excellent bone. Her fleece is bright white with very good crimp structure. 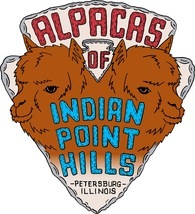 She will make an excellent choice for Light Sabre and we would expect a very high end elite alpaca from that pairing. 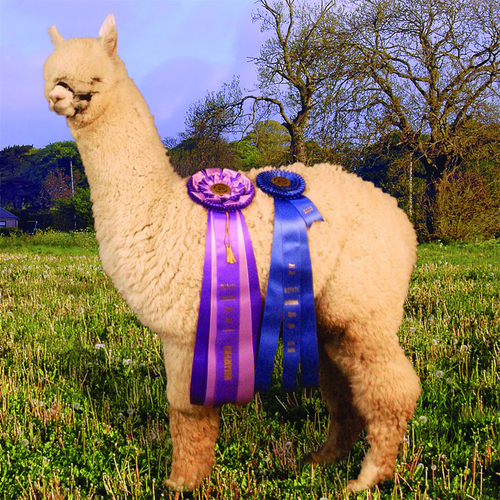 Marilyn's lineage includes Majestic Peruvian Daredevil, Rolex, Ajax and 5Peruvian Inca's Ransom on her sire's side as well as PPPeruvian Tafeta, a female who did some great things for Magical Farms breeding program. 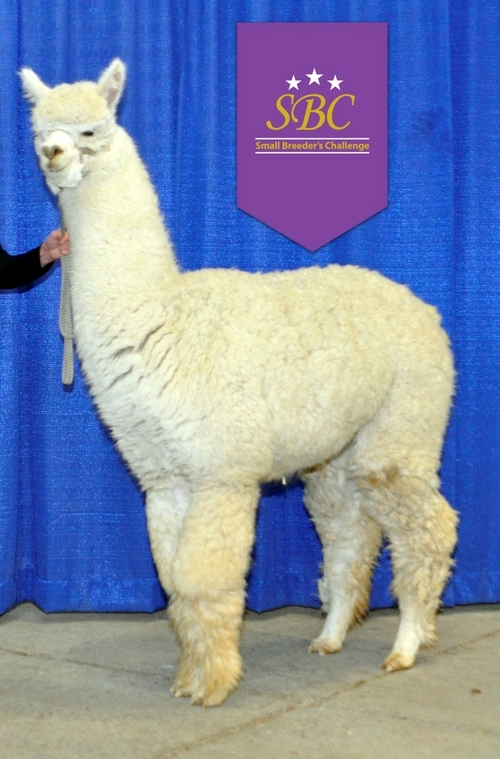 Her dam is Mile High Peruvian Genesee who brings the genetics of Maple Brook Fandango and Bueno. Marilyn is packed full of some stellar genetics. Marilyn has been exposed to Light Sabre. 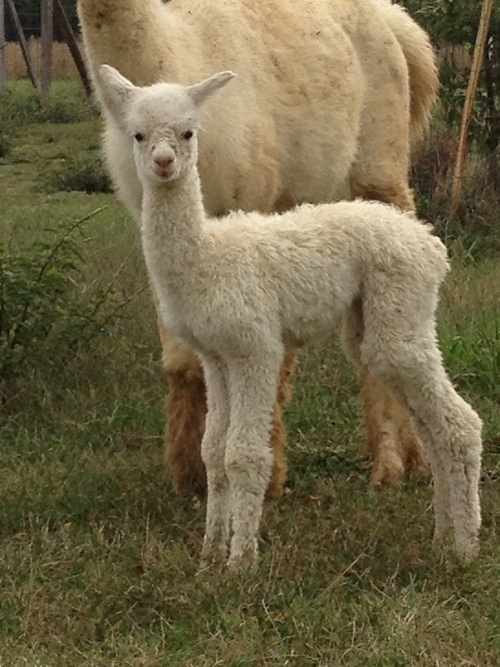 We anticipate a cria with fine, bright fleece!